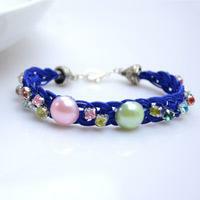 Simple 3 steps to make a pretty braided bead bracelet; this tut is to teach you how to make braided bead bracelet with elegant blue threads and chic rhinestone beads. 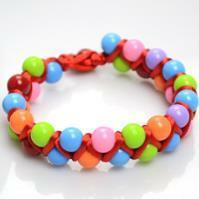 Here is a tutorial on how to make a multi-strand bracelet with vivid neon beads and vintage turquoise beads. 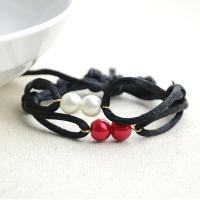 Wonder what the final string bracelet pattern is? Just keep reading and have a try later! 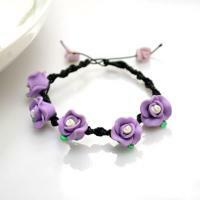 This tutorial is gonna show you how to make a braided bracelet with beads in small holes! 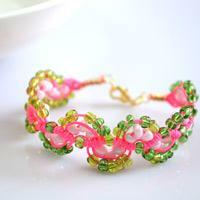 A simple and quick-to-make bracelet with beads in lively tone! 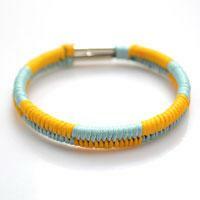 This spiral knot polymer clay bracelet is an easy micro-macramé project for beginners. 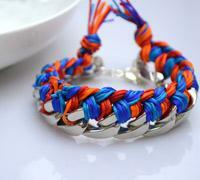 Here, I will show you how to make the spiral bracelet in a rapid way with step-by-step photos! Check out this leather bangle bracelet tutorial and learn how to make leather bracelets for women, super easy yet stunning! Step-by-step instructions and photos are included! 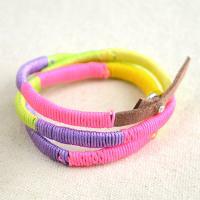 Our DIY braided chain bracelet tutorial is going to show you a fun way regarding how to make braided chain bracelet with four different colored threads. 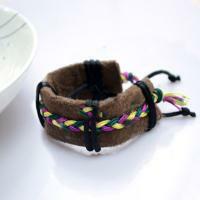 Want to make an awesome friendship bracelet? 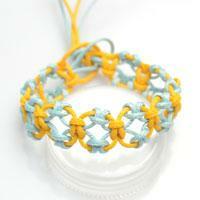 This tutorial will show you a super easy way about how to make a 5-cord braided friendship bracelet. 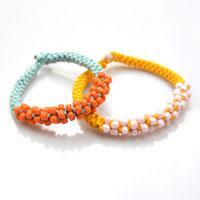 Learn how to make colorful bracelet out of string and beads can be totally on-trend for blazing summer. 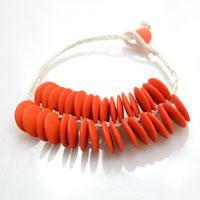 Bright pink, green, orange and blue make a really remarkable seasonal style! 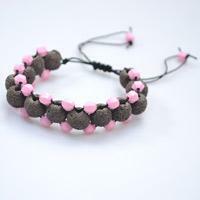 Here is a square knot beaded bracelet pattern differing from common shamballa bracelets or friendship bracelet! It’s basic but so fun to work with! 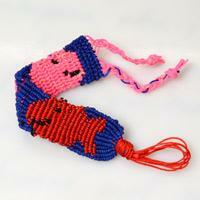 This tutorial is going to show you a simple way about how to make braided bead necklace out of candy-colored threads and seed beads.